Offering you a complete choice of products which include play house, tree house, roshan junior series multiplay equipment and play house (kiddies paradise). 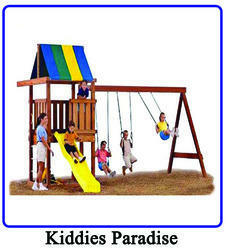 We are the Manufacturer of Multiplay PlayHouse. 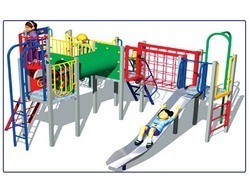 Multiplay PlayHouse is the single unit for multiple type of plays including Slides, Swings, Climbers, Tunnel, Etc., As per the models the playing types varies. We are the manufacturer of kids houses. We introduce ourselves as a manufacturer of children play equipment, gym equipment, Wooden Special Series Products and deals with aerobic, fitness equipment, indoor and outdoor garden furniture, swimming pools, athletic tracks, Multi-purpose courts (tennis, Basket ball courts etc.,) sports flooring (PU, synthetic, wooden etc.,)Outdoor fitness items, school and classroom furniture, water fountains etc. 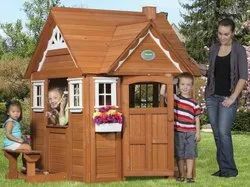 We are the prominent manufacturer and trader of an extensive range of Play House. Our offered range is precisely manufactured using quality-tested raw material and advanced technology under the guidance of our skilled professionals. Further, in order to supply a flawless range of product, each and every product is stringently checked on various quality parameters by our team of quality experts before offering to our precious clients.